Now that you have the basics down, let's get to making it through your first season! Starting out, the most important points you'll need are money and food. If you find some way to 'cheat' and have loads of money, you don't even need a guide because you can buy anything you need and want. For anyone else, start begging...and hoping the repetition of "THE Mini-Game" doesn't burn you out. As of Version 0.52, There are three primary ways to gather what you need: begging, dumpster diving, and taking from "closets" (all of which are locked except for the few around "The Pit" which is your spawn point). Begging is the safest direction to take, since there's no real police threat from asking people to give you money, plus you definitely won't get your clothes torn or stinky. Begging can also sometimes give you food, like Chocolate Bars (that actually give a slight boost to talking power) and Ham Subs further on. On top of all that, Speech opens up perks which will be key later on, such as Guts and Strategy. Dumpster Diving is still going to be useful early on, but start small. Look in the blue bins and ashtrays to try and put together food scraps if you're seriously needy. Try to play it as safe as possible, for early on, you won't have the money needed to maintain your clothes with every mistake in the dumpster. On the other hand, your starting clothes are destined to get replaced, so don't get too attached to them. Arguably, it's more cost-effective to go dumpster diving "in bursts" (that is, to rummage and get SUPER tattered and stinky clothes, and fix it all in one single burst), but while you're still getting your bearings, you wouldn't have the money for even ONE washing, or fixing your starting clothes thanks to Shrug; and then you'd be at a long-term disadvantage of trying to beg for money with the worst clothing condition possible. So, make sure you have enough money for one such burst before actually committing. Thieving means picking pockets from the people you are begging from, as well as using the Lock Picking skill to open up "closets" and "steal" from them. The advantage of these "closets" is that there is no risk of damaging your clothes; however, the quantity to pilfer is less, and if you're not careful, may get you in trouble with the green-vest cops every so often. The risk level is medium for this avenue, relative to the other two (Begging easiest, and Dumpster Diving hardest). With all this hard work and eating, it's probably time to hit the restroom. The most faithful is the gas station near "The Pit" (just up the stairs from your first "Hobo Lair" and across the park). It costs a token amount of money, especially without any perks to convince the attendant to let you dump for free. Sleep is hard to come by, not because there aren't places to sleep, but because even in the most pleasant temperatures of the early game, your character won't be able to rest to full alertness (much less utilize the "buffs" of public "sleeping") as the cold will keep waking your character up - and then you're off to find another fire barrel. Just be persistent, until you loot a couch to put in your "Hobo Lair", and also try to pilfer coffee or energy drinks. You'll get by if you're careful. Morale is a minor concern since there won't be a lot dragging that down, unless you're frequently thieving. But, a few options exist to keep these spirits high. FIrst, look for PlayGuye magazines, as they'll fix even the saddest hobo (probably by allowing him to tend to the most unspoken of his basic needs). Barring that, a visit to the church for a blessing will grant "faith", and that regenerates morale over time. Ham Subs give this effect, too, which is just one more reason to go begging until you the player get sick of it. Poison, drunkenness, and Illness are minor, which don't come up unless you're consuming massive amounts of food looted straight from the trash with no work done to them (like not making "Delicious" out of them). Medicines also give a large amount of poison, and if not careful, you could end up trading one negative stat for another. While they do drain over time, there is a surefire, tradeoff-free way to quickly heal poison from medicine and drunk level: a certain yellow jar you can find at the mall. The mall is located further down the street, past the laundry service (going from the direction relative to the main stairs leading to your "Hobo Lair"). You should always consume one of these yellow jars every time you take medicine or a hard liquor (more on special booze later). Most importantly, there is the cold. Your basic supplies and starting outfit will make you lose heat even on the pleasant days of 60 degrees F, so while reasonably expensive, your last short-term goal is to get a new set of clothes. More short-term than that, you need junk...useless junk or plastic bags will work just as well, to fuel the fire barrels and keep you warm. You're going to be chained to these barrels a lot early on, even with enough bags to start expanding your inventory powers. One last point: DO NOT (I repeat, *DO NOT*) give any of your Magic Boxes to Master Hobo! If you're trying to win trust with him, there are other ways to do this...specifically by learning perks and blueprints from him. With enough patience, you can prod him to tell you the secret of the boxes without having to give him a single one. And they're more valuable to you if you hold on to them, anyway. 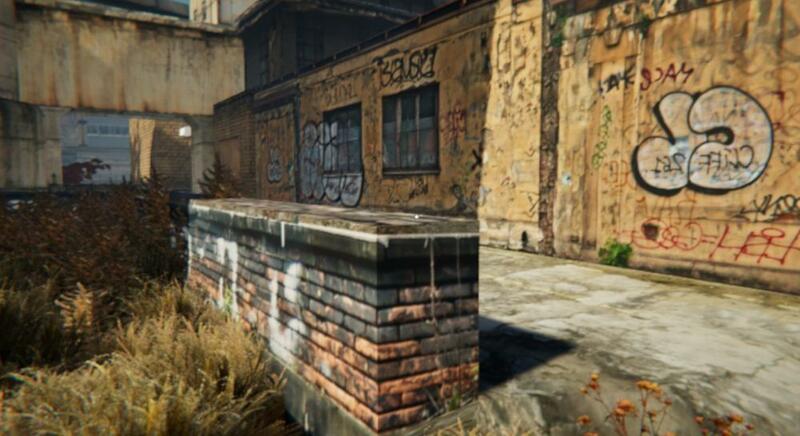 The beginning of the long-term tasks is to build a decent "Hobo Lair", most likely around "The Pit", with collecting furniture and throwing it around in your build area. The most key is some sort of bench or couch, so that way, you can sleep next to the fire from your lair's fire barrel - and prevent you from waking up from being too cold. Drax will sell you furniture, though rarely it can be pilfered off humans or dug out from the largest dumpsters if you're feeling bold (the red ones, as well as the super massive ones that have three giant openings in them). This should not be attempted without a great deal of willpower, or else the chance of ruining your clothes is almost not worth the effort. Regardless of the means, you'll want to hoard enough furniture to start unlocking "Shelter Buffs", specifically specializing in Cold Resistance (and maybe a little for Wet Resistance down the line). After learning a handful of skills and making the money to pay for a modest collection of perks, buffing willpower and keeping a steady supply of this is more useful than you think. It comes most in handy when going through "THE Mini-Game", and you find something that you absolutely MUST have (such as furniture in the big dumpsters or are trying to pickpocket one of the magic boxes that happened to be on a human NPC). A cost-effective way is buying stacks of chewing gum from any snack machine; each one costing 5 crowns, so a full set of 20 will take 100 crowns. But a master begger will eventually learn this is petty cash, and as a result can keep stocked up on the power to subvert "THE Mini-Game". There are other ways to gain willpower, such as by energy drinks (and depending on the price tag, might give more bang for the buck despite costing a higher price tag for similar bulk orders), but the flexibility and inexpensive cost of gum makes that a personal favorite. As for improving willpower proper, see Master Hobo about how to "Just...DO IT!" The cost to raise the max willpower is incrementally steeper, but once you have anywhere from 7 to 9 willpower, you should be set for the whole first season (and probably beyond). Don't buy any "Dead Hobo Amulets" unless you die in-game, but if you're stedfast and constantly on top of your stats, you should never die, not even once. This makes each amulet a waste of 1,000 crowns. And that could've gone towards a nice pair of combat boots, instead. Expanding your inventory is going to be vital from all the supplies you'll find yourself hoarding. Leave crafting supplies at the hideout stash in your "Hobo Lair" if you feel your inventory getting cluttered or even encumbered, only calling upon them once you plan on doing actual crafting. And don't bother buying the canvas bags from the pawn shop; just skip that over entirely and work for the hiking backpacks at the mall. You'll be surprised when you find out that your hobo has super strength and can wear three backpacks at a time. And by that point, you might start to realize that your hobo character may be priming up to become the Czech Republic's greatest superhero. The cold is the only major threat at this point, and you will find a constant arms race of you building cold resists versus the temperature slowly but constantly dropping, where come Winter, the highs are about the same as the lows in Fall. Once you have supplies to last for days with all your other stats, the bulk of resources should be geared towards specifically resisting cold. Also go to the bar or the gas station's convenience store and buy whiskeys, but wait until you have the "Drinker" perk before actually consuming, for one serving will otherwise put you on your sad hobo ♥♥♥. The yellow jars mentioned earlier should be taken with every drink of whiskey on top of this, even with the perk, not just to be safe, but also to let you get ready for your next whiskey sooner. That will permanently improve your cold resistance. Just beware of alcohol addiction; once you see the notice of "at risk", hold off on that whiskey. Day 28 or Day 29 will see "The Calamity", and that is the game's idea of a "Boss Fight". No people on the streets to beg from, no shops open to buy supplies or even dump in the gas station restroom...you're on your own...mostly. And the temperatures drop to about -5 degrees F, and that's as cold as it gets. Visibility is greatly reduced, so you'd better have bought a map at this point from the Tobacco shop (and 50 crowns should seem trivial by Day 28, anyhow). The "Guts" perk is absolutely pivotal, since that would let you take a dump outside at certain marked areas; just make sure you hoarded toilet paper. The best place is just above the "Hobo Lair", which would be immediately behind you after climbing the large flight of stairs that is (or should be) the front entrance/exit to your "Hobo Lair". There is also a fire barrel right next to this dumping spot, too, in case you get some wetness (or even cold) from the nasty blizzard. And a handful of dumpsters can be rummaged through too, with whatever Dumpster Diving skill you can safely use...which should also help mitigate your boredom. For the whole daytime, hang out with Drax, the furniture hobo. Of all the hobos, he's the only one to keep a fire going, and with all the stores closed plus all non-hobo NPCs off the streets, there isn't any point in trying to beg or collect money. However, for the second half in nightfall, you're on your own...and should swiftly retreat to your "Hobo Lair" and keep your own fire going with all the junk you have to spare. Then again, by now, you should've looted a grand total of thousands of junk and other items that can burn, especially if you're desperate enough to burn books and magazines. Make sure your "Shelter Buff" is active at all times, you'll need all the Cold Resist you can stack. If you've spent time learning to craft, stock up on Great Lifebringers, which would do great in keeping morale and energy high, plus comes with a heating effect that would definitely keep you warm. Barring that, Plan B is boxed wine. But if you've got plenty of other cold resists (like whiskey, legendary clothes, and perks galore), the heating effect should become redundant as there are more than enough ways to stay warm even throughout "The Calamity". Finally, the greatest challenge is holding off on boredom! Yes, there isn't much to do at this time, unless you're brave enough to try dumpster diving around the hobo dens to pass the time...and assuming you have ways of playing it safe here, since there won't be anybody to clean or fix your clothes the whole day and night until "The Calamity" passes. If each in-game day takes 30 to 60 REAL minutes, and that whole time you just huddle around a fire barrel as you baby your stats...that's going to add a layer of boredom on top of (most likely) having burnt out from "THE Mini-Game" at this point. But, just quitting the game and never coming back is going to leave your hobo as aimless as failing to care for his stats. As soon as "The Calamity" has passed, hooray - you have just beaten the toughest hurdles the game can throw at you! After one or two more in-game days back to normal (think of this as your "Victory Lap"), you go back to "The Pit" (the exact spot within the red circle may take a little feeling around for, but should trigger consistently enough), and see the screen telling you that you made it through the season. All the Magic Boxes you have collected up to this point! Now that you have survived your first season, you are probably wondering: What NOW? Is there anything to keep building your hobo powers to prepare for, like future updates? Probably not (for those updates won't be for a LONG while, and will probably introduce new features that won't utilize the skills gained thus far). The promised story mode? Maybe. Working that temp job with a pickaxe? Ha ha, trust me, that is NOT worth the energy (unless you've been hoarding coffees and are DESPERATE for something different: pressing E or F 50 times)! Well, assuming you haven't been burnt out, this is the time to try new characters...or just unlock them and set them to the side. Supposedly, the winter for Season 2 gets colder, but there's no telling when or if the cold will reach world records (or even beyond). If you plan on stacking more seasons to your tally, it's much the same as before: arms race against the cold, expand your "Hobo Lair" (maybe building at the OTHER TWO locations, to have THREE "Hobo Lairs" (especially if all 3 "Shelter Buffs" actually stack), and just wait. Speaking of the "Hobo Lair", while currently untested, it is theoretically possible to leave valuable items in your hideout stash for your second, fresh new character to claim - such as spare clothes that you replaced, or excess food you hoarded. This will give your second character an easier time acclimating and getting skills, since such a cushion will soften all the blows of starting out properly new. (Hobo: Tough Life is great if a more "chill" game is your thing - no pun intended, for it's both about the cold and a very 'peaceful' experience). Buy and hoard blue boxes from the pawn shop (each box costs 200 crowns, but is the only way you can find them commonly), which might have been doable during Season 1, since this is the key to unlocking new hobo characters to play as, and maybe other endgame benefits as the future updates roll out. You can't really "speed run" a game like this, as completing it depends entirely on the in-game clock...so without cheating and turning that dial faster, there isn't a way to condense how much time is required to be spent in the game world.